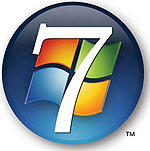 XP owners, the biggest body of Windows users […] have to wipe out their hard disks after backing up their files elsewhere, then install Windows 7, then restore their personal files, then re-install all their programs from the original CDs or downloaded installer files. Then, they have to install all the patches and upgrades to those programs from over the years. In other words, for all practical purposes it’s impossible to upgrade from Windows XP to Windows 7. Jeebus. Is Microsoft trying to give Apple fresh material for its TV ads?